Nuevo Vallarta is a truly unforgettable holiday destination that’s famed for its character, uniqueness and amenities. Recently, Grupo Vidanta expanded their offerings in Nuevo Vallarta with the construction of a new resort, notably the Grand Luxxe. While the Grand Luxxe offers you unparalleled luxury and relaxation, the surrounding attractions are what make this destination so unforgettable. At Nuevo Vallarta, one can enjoy a magical destination with all the charm that’s made it one of our most popular destinations and the reason why it’s the location for the first of many Grand Luxxe resorts. 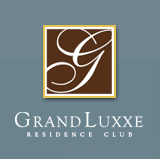 From magical nightlife to sipping a quiet margarita by the pool, your dreams become reality at the Grand Luxxe. From swimming with dolphins, to enjoying a SCUBA diving adventure of a lifetime, there’s a lot to be said about the aqua life at Nuevo Vallarta. However, that’s not all there is, as while you enjoy your stay at the Grand Luxxe, you can also partake in everything from playing golf on one of our award winning golf courses, to undertaking your own sailing adventure and discovering just why the Baha de Banderas, and also the Grand Luxxe is so spectacular. Indeed, at Nuevo Vallarta, it’s the natural beauty that makes this place so unforgettable. Crystal clear waters give you the chance to enjoy some unforgettable water sports, and Nicklaus design golf courses at the Grand Luxxe allow you to play some of the best golf there is. Did you know that Mexico is quickly becoming one of the most popular golfing spots in the world? Visit Nuevo Vallarta and find out why. If it all seems too much, your luxury room at the Grand Luxxe, will let you take in everything that this fabulous destination has to offer, all from the relaxation from our world-class resort that leaves nothing to the imagination. From world-class restaurants to the renowned Brio Spa, the Grand Luxxe offers you luxuries that just simply don’t come anywhere else. You’ll quickly learn to appreciate the beauties that made us choose this resort paradise as a place of luxury and home to the Grand Luxxe.